Bohemia’s Lunch Specials run from 11am – 5pm daily. They offer a Burger Special, which is a medium burger platter and 2 drafts for R65 as well as a Pizza Special which is the bohemian local and box wine for R70. They also have some great happy hour specials which you can look at here. 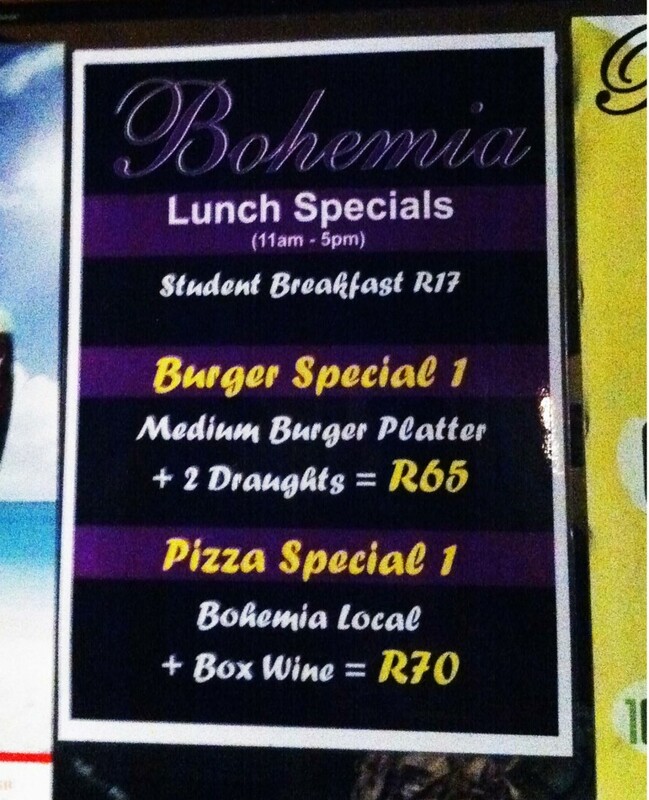 Bohemia is located on Andriga Street and if you get lost call them on 021 882 8375. Enjoy! 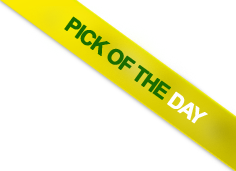 This entry was posted on Thursday, August 30th, 2012 at 10:38 am	and is filed under Specials. You can follow any comments to this entry through the RSS 2.0 feed. You can leave a comment, or trackback from your own site.